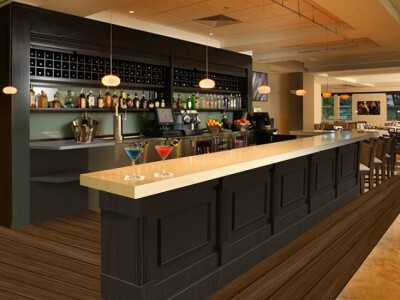 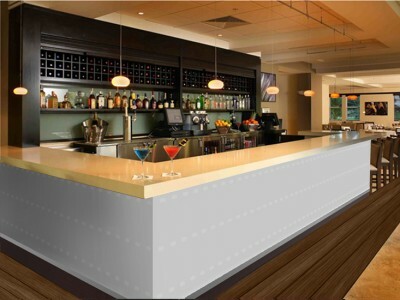 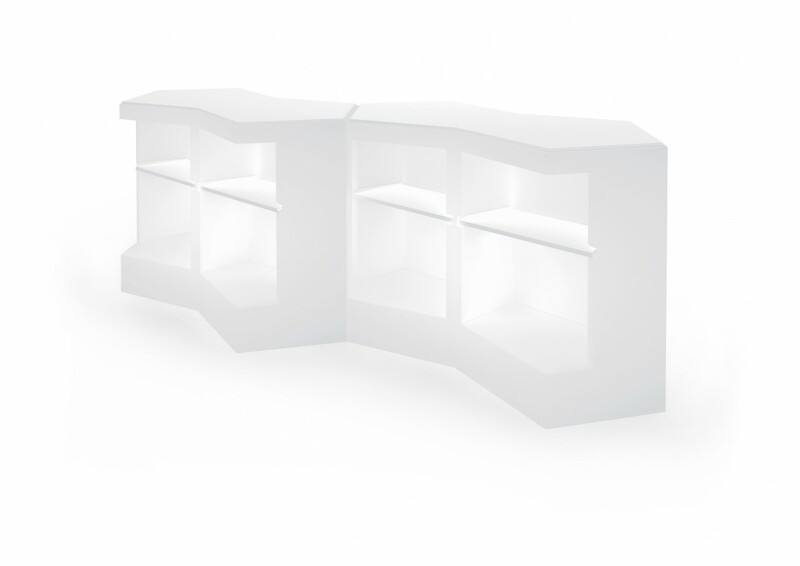 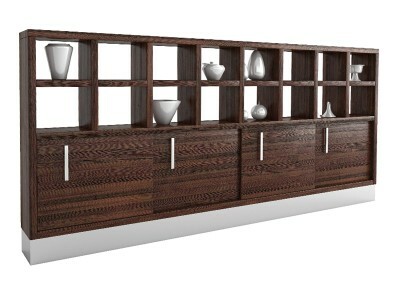 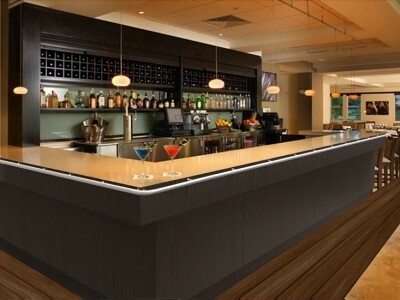 Modular bar counter or buffet high table. 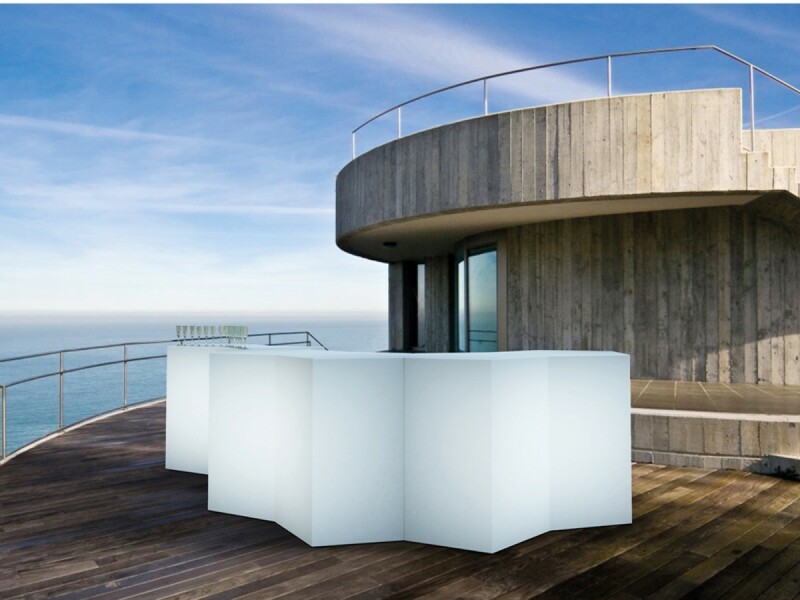 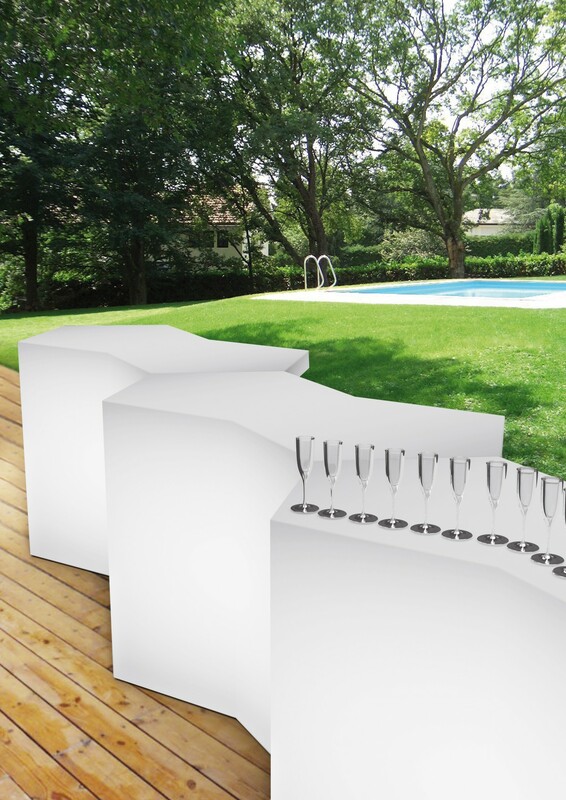 Ideal for outdoor bar by the pool, at the beach, in the garden for a “happy hour” or a snack. 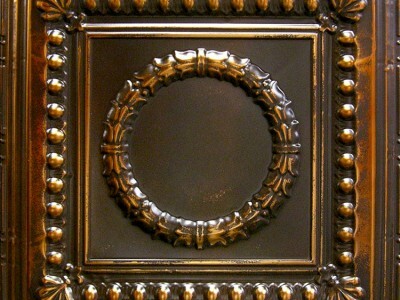 In high-density roto-moulded poly­ethylene . 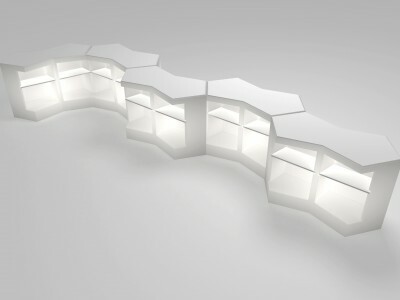 The modules, with a double pen­tagon shape, are conceived to create endless combinations. 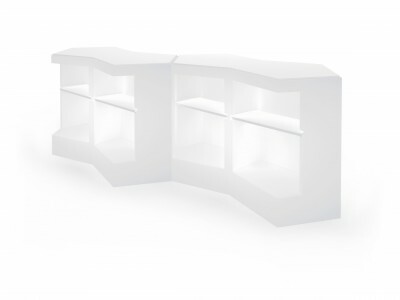 It can have shelves inside and a top to complete the surface. 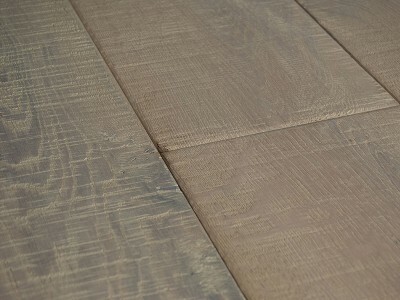 It can also be equipped with internal lighting system.